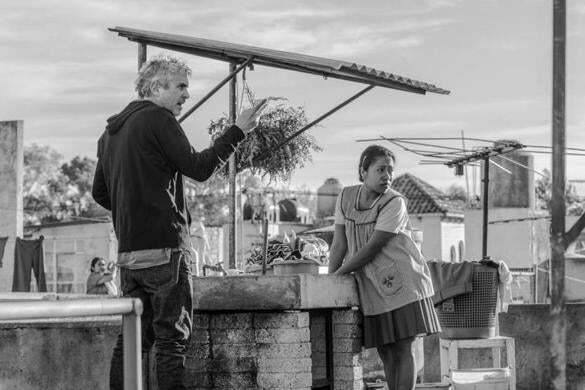 ALFONSO CUARÓN’S “ROMA,” up for 10 Oscars Sunday, has stirred up much discomfort in both the United States and Mexico. At the very moment when an American president openly refers to Mexicans as rapists and murderers and is willing to destroy his own democracy to fund a wall to delineate quality people from those barbarians to the south, Cuarón challenges every Mexican stereotype. It’s intriguing to think that the director has been mulling over this film for decades; the timing of its release could not be more acute. Yes, Mexicans can be doctors and book editors. Yes, they can look and act like Americans, with their modern homes and American cars, blond children, and domestic help. Yes, they can throw fancy cocktail parties and have torrid affairs with their colleagues. None of this comes as a surprise to anyone who has been to Mexico City, a thriving metropolis with nearly 9 million people. But the movie has also fomented the darkest impulses within my native country. And much of this has been missed or ignored by the American media. The movie centers on Cleo, a young domestic worker who lives with her middle class employers in Mexico City in 1970. She cares and cooks for the couple’s four young children; we watch her from the moment she wakes up to the moment she falls asleep, spending nearly every waking hour attending to the needs of the family who, like their colonial ancestors, walk a tenuous line between unnerving intimacy and appalling tyranny. The most incisive moment for me — as a native Mexican — in “Roma” was a mistranslation of a specific Spanish phrase in the English subtitles. Cleo uses a rare day off to make the 14-mile journey from Colonia Roma, an upper-middle class Mexico City neighborhood (known simply as Roma), to Ciudad Nezahualcóyotl, then a growing slum on the outskirts of the city built on a filled-in lake. Today, it is home to more than a million people, mostly working class. Cleo is there to confront the man who got her pregnant six months before and then abandoned her. Cleo’s expression is stoic, or is it blank, as she wends her way through the mud of the shanty town where he lives, through unpaved streets, past stray dogs, dirty children, and women struggling to retain their dignity in the face of extreme poverty. There she finds Fermín’s friend in his underwear and convinces him to drive her to the field where the father of her unborn child is training for a revolution that will never come. The friend drops her a distance away and quickly drives off. When Cleo confronts her former lover, Fermín denies that the baby is his, threatens violence, and warns Cleo to not come looking for him again. This cut me to the core. The English translation in the script, “[expletive] servant,” does nothing to communicate the power of this phrase for Mexicans. Gata, which literally means female kitten, is not just a pejorative word for a woman. It is the racially charged word used by upper class Mexicans, always of European heritage, to refer to their domestic workers, almost always indigenous. It’s misogynistic, classist, and racist. Yet its use is so normalized that no one bats an eye anymore. And that’s exactly the problem. Yalitza Aparicio as Cleo, a young domestic worker who lives with her middle class employers in Mexico City in 1970. AMERICANS OFTEN SEE Mexicans as one people. We are in fact the children of a thousand different cultures and dialects. (The government officially recognizes 68 indigenous languages.) But to the privileged Mexican class, we are only two: those whose ancestors came from Spain — the conquerors, the upper class, the people with the education, money, connections, businesses, and jobs; and those whose ancestors have lived on the land for millennia. The two groups look entirely different. From Cleo’s face — round and broad with wide-set features — to her chocolate brown skin and her short, sturdy build, any Mexican can tell that she is from Oaxaca, a state in the southeast where more than a million indigenous people live (the highest number in any state). The ethnic and linguistic diversity of Oaxaca is complex: There are many indigenous subgroups but they are all descendents of the Mixtec and Zapotec indians whose roots date back to the pre-Hispanic era. Today, more than a third of the state’s population speaks an indigenous dialect. Many Oaxaqueños migrate looking for economic opportunity beyond agriculture, and many women end up becoming domestic workers. As such, Cleo is on the lowest rung of the pervasive colonial caste system that continues to define Mexican culture. She speaks Spanish but her native tongue is Mixtec, a language she’s forbidden to speak in front of the middle-class children she is hired to care for. Cleo can aspire to nothing more than this job. Like Cleo, the 25-year-old actress who plays her, Yalitza Aparicio, is from Oaxaca. She had no formal acting experience when she was cast for the role. LIKE CLEO, THE 25-year-old actress who plays her, Yalitza Aparicio, is from Oaxaca. She had no formal acting experience when she was cast for the role. At the time, she was studying to become a preschool teacher. Aparicio captivated international audiences and film critics alike with her entrancing portrayal of Cleo. American magazine editors adopted her, much like the fictional family that employs her in the movie, dressing her up in Prada, Gucci, and Louis Vuitton, and putting her on their covers. And Sunday, this aspiring preschool teacher who never acted before may earn an Oscar for Best Actress — only the second Mexican woman, and the first indigenous actress from the Americas, ever to be considered. Yet in her native country, Aparicio’s rags-to-riches tale has unleashed the most extraordinary Mexican racism and classism. Earlier this month, it was reported that a group of Mexican actresses were secretly plotting to ask the Mexican Academy of Cinematography and Sciences to exclude Aparicio from being nominated for the Ariel, Mexico’s Oscar equivalent. The reason? Aparicio is not a trained actress. Another Mexican actress, when asked to comment on Aparicio’s success, told reporters that she has been very lucky. She then referenced a Spanish proverb, “la suerte de la fea . . . ” — ugly women are luckier than pretty women. One famous Mexican artist, struggling to congratulate Aparicio, said it was quite an achievement to succeed in Hollywood despite being ugly. Yet another actress breezily dismissed Aparicio’s abilities by saying that as a lowly Oaxacan, she was already Cleo and therefore didn’t have to put any effort into the role. The latest incident in Mexico against Aparicio unfolded as I was traveling last week in the Selva Lacandona in Chiapas. This is where the Zapatista movement that sought to bring broader rights to the area’s indigenous Mayan groups began 25 years ago. The state of Chiapas sits east of Oaxaca and shares a border with Guatemala, which is considered the birthplace of the Mayan empire. In 1994, the year that NAFTA went into effect, the Mayan communities that had been subsisting on corn feared that opening up trade would threaten their lifeline. Wearing ski masks and red paisley bandanas, an army of armed Zapatista rebels, led by the iconic Subcomandante Marcos, launched a multi-year rebellion. As part of a peace agreement signed with the Mexican government, the indigenous groups of the area were given better land rights and more political representation and autonomy. As a result of redistricting, more than 30 new municipalities were created, including the one I was traveling to. It is a remote place. As my driver, a mestizo from the capital city in Chiapas, Tuxtla Gutiérrez, expertly navigated the winding and unkempt roads to get to La Selva, I was browsing Twitter. He warned me that cell service would soon cut out. That’s when I came across a video going viral. In it, a Mexican actor was expressing outrage at Aparicio’s Oscar nomination. How is it possible that a “pinche india”— a [expletive] indigenous woman — who just says “sí señora, no señora” got nominated for such a prestigious award, he wondered in disgust. omnipresent and we have not reckoned with it. Which is why, unlike in the United States, there are no taboos. In what must be one of the most perverse trends, the privileged class — often referred to as white Mexicans, or Whitexicans, in jest — now considers it über chic to use indigenous people like decorative props. Last summer, a couple staged a wedding portrait right next to a real indigenous woman sitting on the street selling Mexican handicrafts. You cannot even see her face. The photo sparked a brief public debate about the unspoken but prevalent racism in Mexico, and how society typifies indigenous people. Then everyone forgot. “Roma” has fomented the darkest impulses within Mexico. And much of this has been missed or ignored by the American media. I WAS BORN AND raised in Mexico. Before I became a journalist, I was a domestic worker. When I moved to Boston nearly 20 years ago, I worked for two years as a live-in nanny for a wealthy suburban family. This experience came rushing back to me when I saw “Roma” in the theater. Watching Cleo take care of Pepe, her youngest charge, reminded me of the toddler that I once cared for like my own. The way Cleo would play with him and hug him, that was me and the little boy. I remembered with anguish the day I had to say goodbye to him and felt again the pain of leaving that tiny child behind. I was told he cried at bedtime for days after I left, asking for me. I still refer to him as the first boy in Boston who stole my heart. After watching “Roma,” another painful memory came back to me. As a Mexican nanny in America, I was asked countless times by the other children’s parents, “How come you speak English so well?” as if it were impossible that I, a recent immigrant, could be educated. It still upsets me. Their comments revealed how little they knew of my country and how difficult it was for them to imagine a reality beyond their own biases. 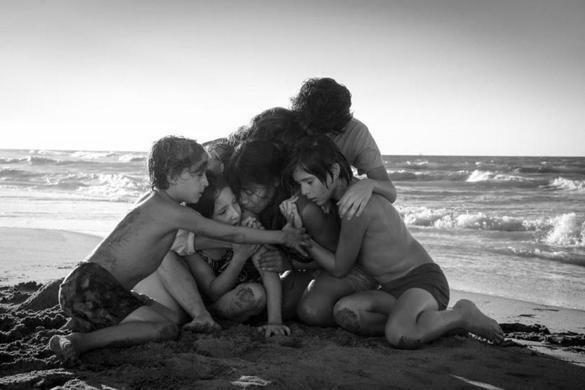 Similarly, what makes “Roma” so unforgettable is that it challenges many constructs at once. As an indigenous woman from Oaxaca, Aparicio doesn’t fit Mexico’s beauty ideal. Nor does she qualify as someone who can achieve excellence. If she wins an Oscar Sunday, it will be a historic feat. But in my mind, she has already won. There are roughly 2.4 million domestic female maids south of the border, the vast majority of them working without a contract or benefits. In Mexico, a domestic worker like Cleo stays with the family forever. Her job is never ending; it is a whole life dedicated to serving others. Aparicio has helped raise awareness both here and in Mexico about the invisible but essential work of caretakers. 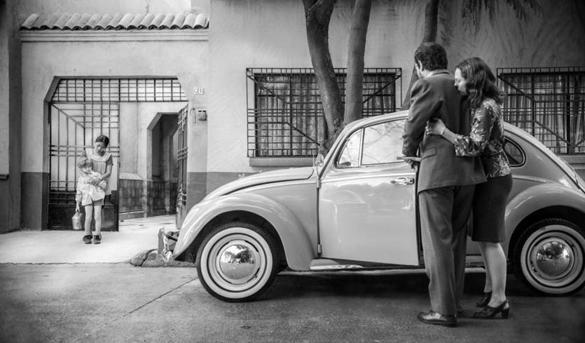 In “Roma,” the family that Cleo works for keeps a dog, El Borras, that is woefully neglected. El Borras is never walked and is so ignored that his desperation is palpable. The only place that he can relieve himself is in the garage. Each time the marital tension between Cleo’s employers become untenable, Cleo is ordered to pick up and wash away the dog’s excrement. This is, very succinctly, the role that black and brown people have been forced to play in this world. And yet, Aparicio imbues her character with unearthly, almost Jesus-like, qualities. She weathers unimaginable adversity with saintly grace. Every moment on the screen, she projects her quiet dignity and humanity as she perseveres in a world that refuses to see her as fully human. That is Aparicio’s great power. And it is, I believe, what causes the outrage smoldering in the hearts of Mexico’s privileged few.